NEWARK, N.J. -- Two ex-allies of New Jersey Gov. Chris Christie convicted in the George Washington Bridge lane-closing trial last fall are seeking probation when they're sentenced this week, while government prosecutors are urging the judge not to show them any leniency. Bridget Kelly and Bill Baroni are to be sentenced Wednesday. Prosecutors called for a sentence of 37 to 46 months in prison because, they wrote in a brief made public Monday, both committed perjury on the witness stand. In a filing later Monday, attorneys for the defendants argued for probation and community service, saying their clients deserve mercy for a host of reasons. They said Kelly is a single mother of four, and Baroni has led an exemplary life and once assisted the FBI in a separate political corruption probe in New Jersey more than a decade ago. One of several dozen people who wrote letters of support on behalf of the defendants was former Democratic Gov. Jim McGreevey, who said of Baroni, "imprisonment will not appreciably add to the punishment of this man, while denying him the potential of serving those needy persons within our midsts." Kelly's 17-year-old son, who was born with a rare heart condition, wrote a letter calling his mother "my greatest role model." Baroni and Kelly were convicted last fall of using their positions to cause traffic jams near the George Washington Bridge in 2013 in an alleged plot against a Democratic mayor who didn't endorse the Republican Christie. Baroni and Kelly testified that they thought the lane realignment was part of a legitimate traffic study. At the time of the gridlock, Kelly was deputy chief of staff to Christie, and Baroni was a top Christie appointee to the Port Authority. Christie wasn't charged. In Monday's sentencing memorandum, prosecutors scoffed at their claims and said their testimony was contradicted by several other witnesses. "They lied about what they knew, what they said, and what they did," prosecutors wrote. "They evaded, obstructed, and gave alternative explanations that bore no relation whatsoever to the truth. Their flagrantly false testimony was rejected by the jury, which convicted them of all counts of the Indictment." Kelly and Baroni were each convicted on seven charges including conspiracy, wire fraud, civil rights offenses and misapplying the property of the Port Authority. The maximum combined sentences would run into the decades, but former U.S. Attorney Paul Fishman had indicated they would receive far less than that. This month, the federal judge who oversaw the trial denied Baroni's and Kelly's motions to overturn their guilty verdicts. They had argued that U.S. District Judge Susan Wigenton should have instructed jurors they could have acquitted the defendants if the government didn't prove the alleged conspiracy was aimed at punishing Mayor Mark Sokolich. 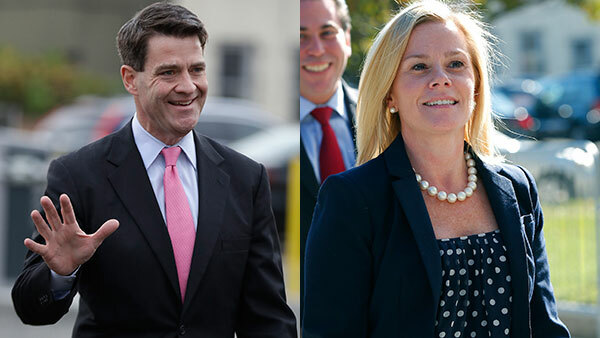 The government argued jurors only had to believe Baroni and Kelly conspired to misapply the property of the Port Authority of New York and New Jersey - the bridge - and not the reason they did it. Baroni's attorneys argued in their brief Monday that other defendants who committed, in some cases, violent crimes have received lighter sentences than what Baroni faces. They added that Baroni is remorseful for his actions. "Bill deeply regrets his role in the lane realignment and particularly his decision to follow the directives given to him to not return Mayor Sokolich's call because they run counter to his moral ethos," they wrote. Both defendants contended they were misled by Baroni's former Port Authority colleague David Wildstein, a former political blogger and high school classmate of Christie's who pleaded guilty and testified against Baroni and Kelly. Wildstein faced a maximum combined sentence of 15 years but under a plea agreement is facing between 21 and 27 months. The government could ask for even less time for him considering his cooperation.